Exciting (and tasty!) movie products people are going to love! Everyone loves the cinema and consumers love receiving a discount – especially for the movies! We have many popular fundraising items you can sell to generate incremental dollars for your fundraising campaign. Redeem for 1 General Admission. Redeem for 2 General Admissions, 2 Regular Soft Drinks and 1 Regular Popcorn. 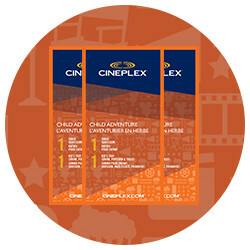 Redeem for 1 Child Admission and 1 Kid's Tray Combo which includes a Drink, Popcorn and Treat. 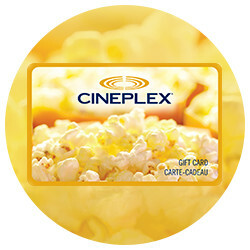 Gift Cards can be loaded with any denomination from $10 - $200 – choose from a variety of eye-catching designs. 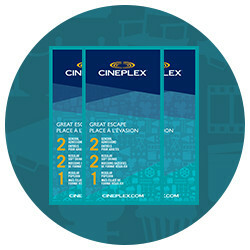 Each of our products provide a unique movie going experience – check back often to see what’s new with gift card designs and additional fundraising choices.